The origins of Blandy's started in 1913 when two companies, Welsh & Cunha and Henriques & Camara, joined forces to form the Madeira Wine Association Lda. Through the lean years that followed more companies joined to ensure their survival by reducing costs and pooling production whilst maintaining commercial independence. Blandy’s and Leacock’s amalgamated their interests and joined the association in 1925. The chairman of this newly enlarged enterprise was John Ernest Blandy, supported by Thomas L. Mullins as Managing Director who had previously looked after the Blandy’s wine company. Other companies joined the association in the years that followed. The spirit of the union, ably organized by Tom Mullins, was to maintain the individuality of the different companies together with their respective styles of wines while at the same time reducing overheads. F.F. Ferraz & Cia; Tarquinio T. da Camara Lomelino, Lda. ; Aguiar Freitas & Ca., A. Nobrega (Vinhos) da Madeira, Lda. ; Barros Almeida & Ca. (Madeira) Lda. ; Bianchi's Madeira, Lda. ; C. V. Vasconcelos, Lda. ; Freitas Martins Caldeira & Co., Lda. ; Funchal Wine Company, Lda. ; Luiz Gomes da Conceicão & Filhos, Lda. ; Krohn Brothers & Co.; Madeira Victoria Co., Lda. ; Powder Drury (Wine), Lda. ; Royal Madeira & Co.; Sociedade Agrícola da Madeira, Lda. ; Abudarham & Filhos, Lda. ; Madeira Meneres & Cia. ; V. Donaldson & Co. Lda. ; Shortridge Lawton & Co. Ltd. and J. B. Spinola, Lda..
Cossart, Gordon & Co Ltd became a partner in 1953 and 28 years later the association changed its name to the Madeira Wine Company Lda. (MWC). During the 1980s the Blandy family, who by now controlled the Madeira Wine Company and whose family had lived continuously on the island since 1811, realized that the business needed to find a partner who could help them develop the company’s brands profile and world-wide distribution. They approached the Symington family, who they had known for many years. 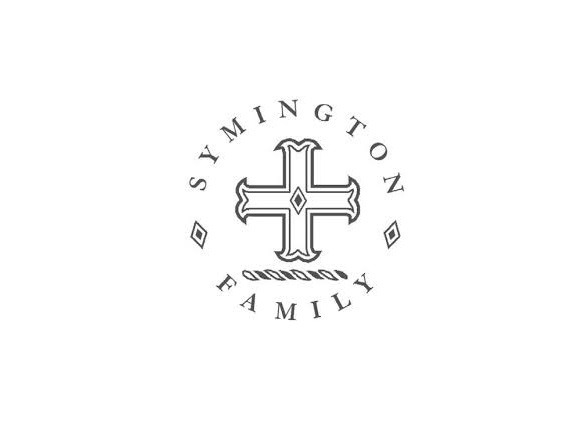 The Symingtons brought an extensive world-wide distribution network and a total quality approach as well as valuable winemaking experience gained through their many years as leading members of the Port Trade. The Symingtons subsequently took on a partnership with the Blandy's in 1989 and since then much time and effort has been invested in improving the packaging and reinforcing the distribution network of the Madeira Wine Company’s well-known brands. The company greatly increased its stocks of ageing wine and undertook a policy of maturing a significant proportion of its wines by the traditional "Canteiro" system of gently warming the wines in the lofts of the Funchal lodges rather than by the modern system of "estufagem" whereby the wines are artificially heated in large tanks. The origins of Blandy's, putting the magnitude of the company in perspective, started in 1913 when two companies, Welsh & Cunha and Henriques & Camara, joined forces to form the Madeira Wine Association Lda. Through the lean years that followed more companies joined to ensure their survival by reducing costs and pooling production while maintaining financial independence. Blandy’s and Leacock’s amalgamated their interests and joined the association in 1925. The chairman of this newly enlarged enterprise was John Ernest Blandy, supported by Thomas L. Mullins as Managing Director who had previously looked after the Blandy’s wine company. Founded by John Blandy – the family Madeiran branch patriarch – in 1811, Blandy’s Madeira is a family-owned wine company, For 200 years, Blandy’s Madeira has been synonymous with quality Madeira wine. Other companies joined the association in the years that followed. The spirit of the union, ably organized by Tom Mullins, was to maintain the identity of the different companies together with their respective styles of wines while at the same time reducing overheads. F.F. Ferraz & Cia; Tarquinio T. da Camara Lomelino, Lda. 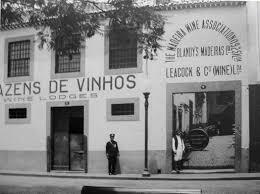 ; Aguiar Freitas & Ca., A. Nobrega (Vinhos) da Madeira, Lda. ; Barros Almeida & Ca. (Madeira) Lda. ; Bianchi's Madeira, Lda. ; C. V. Vasconcelos, Lda. ; Freitas Martins Caldeira & Co., Lda. ; Funchal Wine Company, Lda. ; Luiz Gomes da Conceicão & Filhos, Lda. ; Krohn Brothers & Co.; Madeira Victoria Co., Lda. ; Powder Drury (Wine), Lda. ; Royal Madeira & Co.; Sociedade Agrícola da Madeira, Lda. ; Abudarham & Filhos, Lda. ; Madeira Meneres & Cia. ; V. Donaldson & Co. Lda. ; Shortridge Lawton & Co. Ltd. and J. B. Spinola, Lda... Cossart, Gordon & Co Ltd became a partner in 1953, and 28 years later the association changed its name to the Madeira Wine Company Lda. (MWC). During the 1980s the Blandy family, who by now controlled the Madeira Wine Company and whose family had lived continuously on the island since 1811, realized that the business needed to find a partner who could help them develop the company’s brands profile and worldwide distribution. They approached the Symington family, who they had known for many years. The Symingtons brought an extensive global distribution network and a total quality approach as well as valuable winemaking experience gained through their many years as leading members of the Port Trade. The Symingtons subsequently took on a partnership with the Blandy's in 1989 and since then much time and effort have been invested in improving the packaging and reinforcing the distribution network of the Madeira Wine Company’s well-known brands. 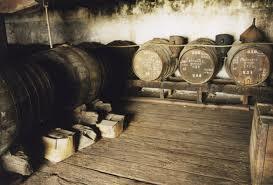 The company greatly increased its stocks of aging wine and undertook a policy of maturing a significant proportion of its wines by the traditional "Canteiro" system of gently warming the wines in the lofts of the Funchal lodges rather than by the modern system of "estufagem" whereby the wines are artificially heated in large tanks.